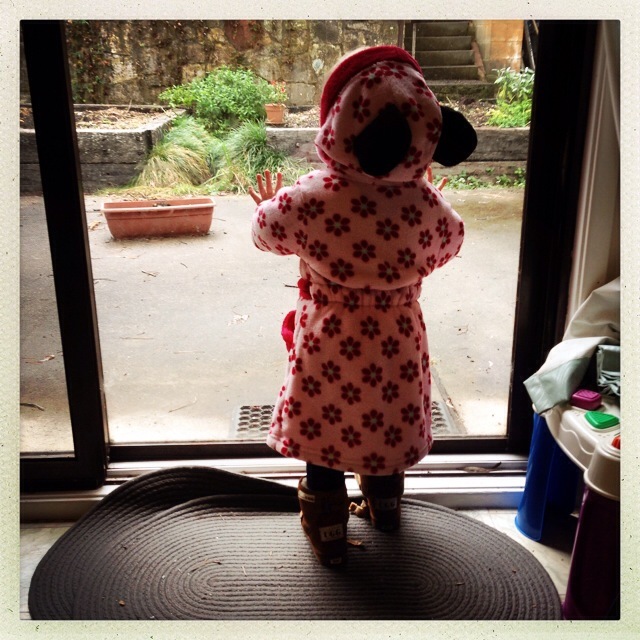 What makes a tired toddler happy? Fresh out of the oven muffins made by mum! You know that something is going to be delicious when the raw batter smells AMAZING! This afternoon scrummy yummy was destined for my belly. We are very fortunate to have a beautiful and productive Jonathon Apple tree in our backyard. 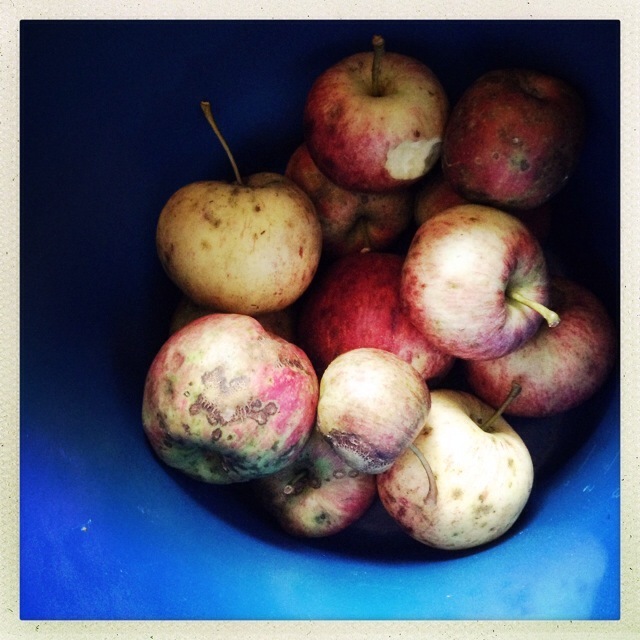 This year we have picked bucket loads of beautiful crispy, juicy apples. The season is all finished now and the final fruit were picked this week. They aren’t the prettiest of apples and some never really grew up, bit like little Peter Pan apples. They were even a bit green. 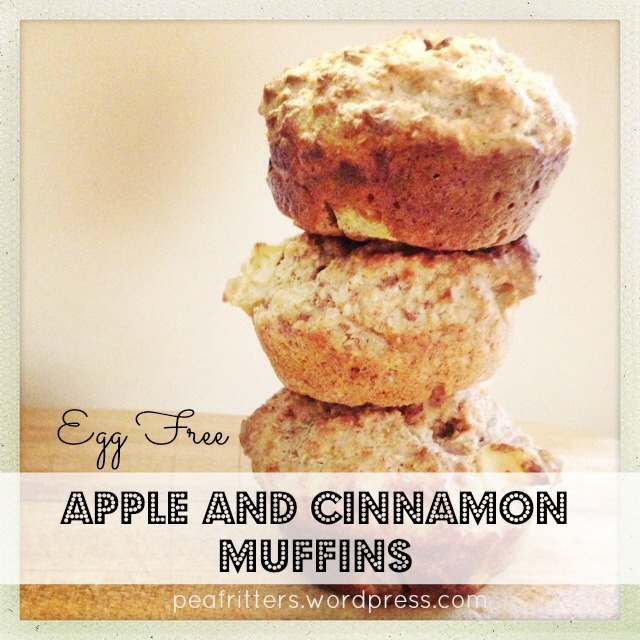 These apples were perfect for this Egg-Free Cinnamon and Apple Muffin recipe. Possum has been our quality control master, testing each apple… with just one bite. Preheat oven to 200°C fan forced or 180°C standard. Grease a mini muffin tray (i always use butter). Soak your chia seeds in water and leave for 15 minutes. Once chia seeds are ready (they should look a bit like frog spawn…), mix all ingredients in a large mixing bowl. I like to add all dry first to combine then all my wet ingredients. Just personal preference. Spoon mixture into the greased mini muffin tray. Bake in your preheated oven for 18-20 minutes. Allow to cool on cooling rack, or just gobble them up straight out of the oven! The women who are getting me through…. On the scale of stressful life scenarios and even grand disasters that could befall me I do realise that being really freaking tired isn’t really at the top of the charts. Second time around I have a better understanding that these baby years are fleeting, and the depths of sleep deprivation that I’m experiencing at the moment are temporary (please, God!). But I’d be lying if I said I was taking things in my stride at the moment. The current phase of sleep deprivation we are dealing with leaves me barely functioning some days. Feeling like this after a night out when you’re 18 is a novelty. Feeling it when you’re 35 and have 2 small humans to care for is a nightmare. 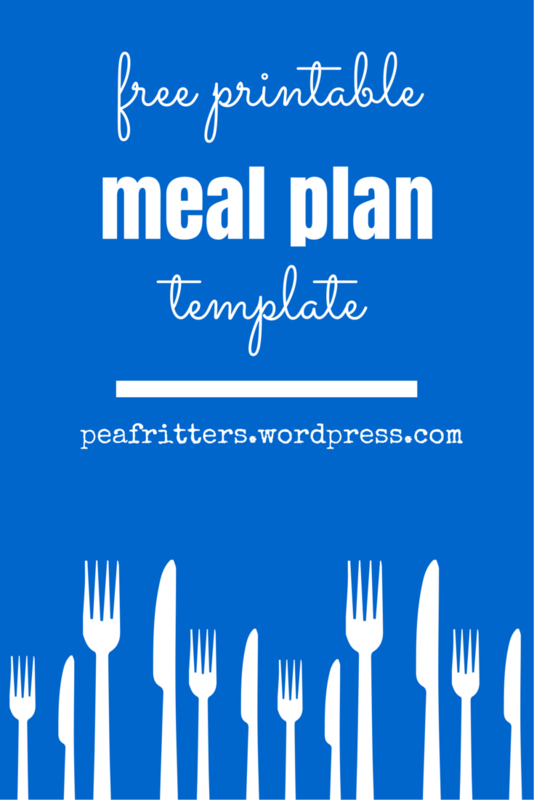 FREE PRINTABLE MEAL PLANNING TEMPLATE!!!! Woohoo!!! When I first started meal planning over a year ago, I found a free printable that didn’t make my eyes hurt, printed it 52 times (who wants to remember to print something every week?) and set sail on what has been a very enjoyable meal planning journey. I’m nearly out of the ones I had printed and needed a change. So I made a new one!! Meal planning has made my world more calm, more varied, and more adventurous! I have been meal planning and blogging for over a year now. And jeepers alot has happened since I first jumped onto my laptop to start typing my first post. Moved house, bought a house, went back to work, fell pregnant, figured out our daughter’s allergies, celebrated the births of new babies, celebrated the birthdays of babies growing up. I also managed to publish a few of my own recipes! 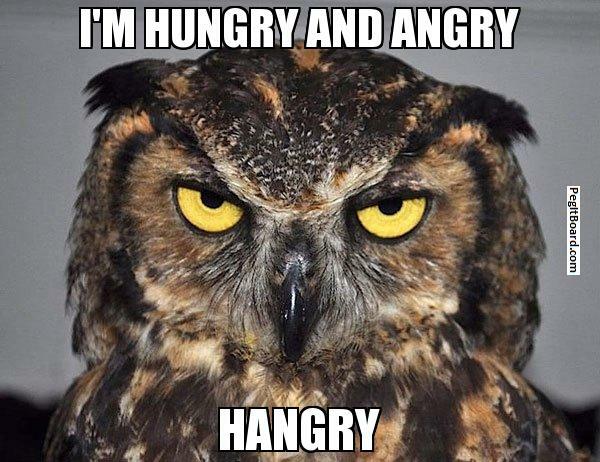 And thank goodness I had been meal planning through all of that otherwise this may have happened…. My friends often say “Wow, you must be so organised to meal plan! I just don’t think I could do it”. To which I say “It’s because I’m poorly organised that I meal plan!!”. If I didn’t meal plan we would probably be having toast waaaaaaaay too many nights to be social or nutritionally acceptable. Plus it saves us money (our food costs about the same every week without trying). It gives me more time with Possum. It helps Legoman dive head first into the kitchen to cook us dinner twice a week. Plus it gives me luxurious cookbook and food magazine browsing time, which Possum is now a part of (she loves pointing out all the different foods and even suggests things to cook now, mostly Pear Cake!). Like what you see? 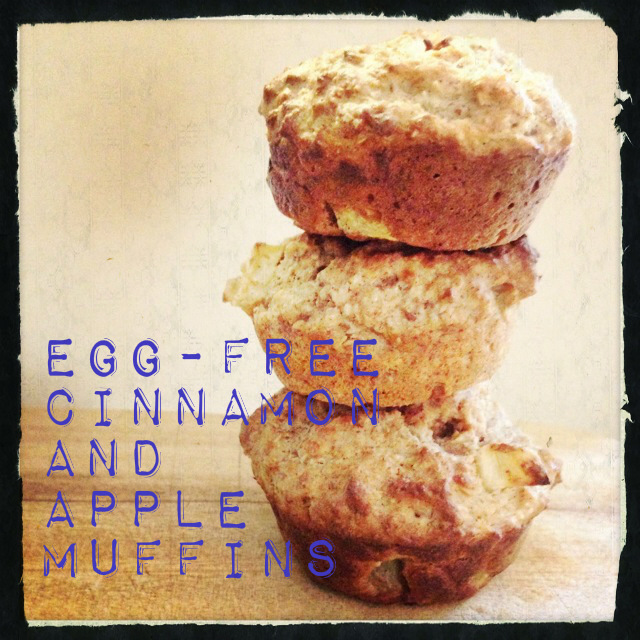 Why not follow Pea Fritters on WordPress or visit my Facebook Page!